You only get one life – True or False? When I was a young man I used to go outside on our second floor porch, my house was on J Street in Hull. I would go to my space ship console and set the course to Mars or some other heavenly body. I would insert my Pastrami sandwich, carefully wrapped in aluminum foil, in the cooking portal so it would be ready when I left Earth. I took several trips a week. My Space Ship was a broken down dryer and the cooking portal was the inside of the same – it was 1975. I look back on that precious childhood time that was filled with little responsibility and I miss it sometimes. In the following months I would leave that behind to start the sixth grade and to become a clam digger in the morning on Nantasket beach to help feed my family. With responsibility I lost some of the wonder, and that is too bad. We ended up moving to Quincy, MA. When in Quincy my love for knowledge and exploration returned with a vengeance. I bored my friends discussing the motion and speed of objects falling in a vacuum and many other topics. I would stay up at night to catch meteor showers and experiment with different chemicals. I wrote my first computer programs at Quincy High School (not North Quincy High). Life became wonderful again for a while. I would have many more sections of my life or better put seasons into my late 20’s. From University to starting several failed and successful companies. It occurred to me in Concord, NH that it was all a lie. Well that is strong – maybe it was just a misinterpretation. In fact we could bend our life or lives in such ways that in short periods of time we could amass countless memories that were boundless and basically a multiple life existence that did not only impact our friends or families but many people and communities around the globe that we never met or interacted with. This becomes important if you consider that so many people feel helpless because they feel trapped into a single existence. However, this is a myth we can change or bend reality. We can do many things and really have no boundaries except those that we impose on ourselves. People should experiment with this because once you realize that you are in control of your destiny the world opens up to you. You start to gather experiences at such a high rate that it can be mentally exhausting. You then reevaluate and do it again. With every experience you contrast to previous experiences and you learn. Contrast is the spice of life in my opinion. Becoming a pilot taught me many life lessons-too many to actually cover in one post, it would take a book. There was however one thing that I learned that I have carried forward to every aspect of my life. Most of us are familiar with the idea that “fear is limiting” and of course we all are familiar with the expression “there is nothing to fear but fear itself”. Being aware of fear is of course one thing and doing something about it is another. There is one fear that many people still struggle with on a daily basis-the problem of admitting our failures and things with which we have trouble. One story in my past illustrates this well. As a pilot I liked to fly in mountainous areas. This is fun and requires good knowledge of winds. When I was sitting around the local Fixed Base Operator (FBO) at airports in NH, NY, and ME I participated in many conversations about difficulties in landing and shared stories about how to adjust related to winds coming from this or that direction. This group knowledge and discussions on how to handle the aircraft made everyone in the discussions a better pilot. However, there was one friend of mine, also a pilot, who always said he had a “perfect landing” whenever we met, no matter what the conditions. Even in the worst circumstances he always made perfect landings. One day I went flying with a friend versus using my own plane and I was hanging out at the FBO at Fryberg, ME (IZG). I saw a plane come in for a landing, a Cessna 172, and the pilot was having a very hard time. I was surprised that the pilot did not do a “go around”. A “go around” is when you abort the landing attempt for safety reasons and try again. The pilot instead completed the landing and a very hard one at that. We all stopped looking and went back in for a coffee and some candy (Hot Tamales). Several minutes later my friend came in (he had been the pilot) and it was one of the rare times we saw each other at an FBO. We talked about this and that and then the topic of the high winds came up and he said the winds had been “no problem” and said that his landing had been perfect, textbook. He went outside and showed me the rental he had just came in on, it was the Cessna 172. He was a good friend so I said “man, why did you not go around that was a scary landing?” At first he said he was fine it probably looked worse than it was but it was a textbook touch down. I pressed and said “come on what happened?” He stopped defending the landing and said he had just gotten behind the plane and was a bit out of control. We discussed the winds and then went out and did some practice take offs and landings together and had some good lessons on controlling the plane in more difficult crosswind conditions. My friend was happy and thankful for the piloting lessons and conversation. I also hope that he learned that no one is perfect at anything and we all need to be open to others views and experiences if we are to grow and be better at any endeavor that we choose. Above all we need to be honest about our successes and failures to grow. We also need to work harder at recognizing this in our friends in case they are struggling and we can lend a hand. In this world of hyper-sharing and apps designed to make us look better in selfies we need to realize that life is not as perfect as it often seems in our news feed. Everyone has things they are good and bad at or some cross that they are bearing. Perfection is a goal not a reality for most. No one makes a perfect landing every time, no one passes every test life throws at them. We all work to learn new skills and constantly work to perfect the same. We all need to remember that by hiding the problems we are having we are limiting our chances to solve the same. So if you are having some issues landing, managing your team, solving or dealing with a situation that presents itself to you-remember that if you do not ask for help-you may decrease your likelihood of success. Today I received my BowFlex Max Trainer M5 at around 730AM – FedEx was quite early. The boxes were heavy and I dragged them through my house and back to my Carriage House. The first floor of the carriage house has been converted into a gym of sorts. I opened the boxes and started taking out all of the parts. It was pretty straightforward and I laid out all of the parts. I made one mistake on Step One (1) but it was simple after that, it took about 30 minutes to put it together – I took my time after the step one error. After I got the machine together I tried it to make sure it was working – it was but it was very hard to use. This was because it was new. I decided taking out the trash would warm me up a bit for a workout. So I cut up the boxes as it is trash day here in Concord NH, and I took out the trash and recycling. After taking out the trash I decided to go for a four (4) mile run and then do a couple hundred sit-ups to warm up. When that was done I decided to give it a go again. It was great, it took about five (5) minutes to get into it – learn the machine. After that I was fine – I then did two (2) 8-minute workouts on the machine – on the interval setting. If I had to explain the workout I would have to use the word real. It felt like I was climbing a head section of some mountain. I could feel it in the legs and core. It was very real in comparison to a real outdoor slug. So my Initial take is thumbs up, I will tell you if I still feel that way in 30 days! 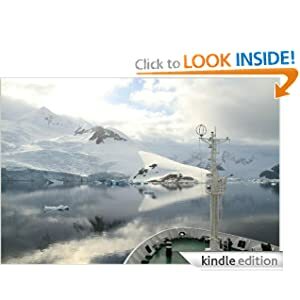 Over the years I have written technical and travel titles that started with either “Understanding “ or “Going to.” The “Understanding” titles had the central goal of explaining a technical topic in plain English and the “Going to” titles covered a specific destination, place, or adventure. These have been fun to write and they have also changed me for the better in many ways. I believe that when we write about real experiences and knowledge we sort of put ourselves out there. We make mistakes. We learn. We grow. We share the experience. With this in mind I decided it was time to take a different approach to my writing and my living as well. Everything that I am about to do is based on the following statement; “people can and do change.” Based on that premise I have started my next series. So the “Becoming” series will require changes in myself some comfortable, some uncomfortable and all leading to a goal that I want to achieve. My next personal goal is going to require a different: discipline, knowledge, diet, strength level and overall balance. This is not as easy as it sounds because putting into practice large changes in behavior can be a daunting undertaking. With this in mind over a week ago I began my journal. The first thing I noticed is that there would be no instant gratification. Not from diet, workout, study or any effort. In fact it would be discouraging. The only thing that has actually gotten easier was the discipline required to accomplish my goals. My discipline seems to be getting stronger every day. Additionally, it seems that besides studying the specific sport that I am interested in I have to start learning everything about workout routines, nutrition, sports nutrition and how to hack my own system (body). This stuff is hard. I think my biggest change was to get to the point where I eat for energy and strength gain as a primary goal versus just enjoying food. Don’t get me wrong, I enjoy the food but choices diminish. Or better-put most of the food that is readily available and that is inexpensive is not actually good for you. I am convinced now that food is designed to be addictive to make sure you keep buying as much as possible regardless of health consequences. This is very upside-down in my opinion. I went from counting steps to counting reps, points and endurance. I still run about six (6) miles a day but I have added sport specific reading and about two hours in the gym a day. I have made some mistakes or my body has made some mistakes, my arms are growing unevenly – I have a fix for this. I have hurt muscles from being too ambitious. I have also taken my normal 100 sit-ups to 500 sit-ups a day. It will be a slow process, but I will get there. My next climb will be in August and on the climb I will see how all this sport and strength specific exercise has helped. I have ditched the Fitbit – way too much noise and who wants to charge a device constantly. I replaced it with a MisFit. No charging required and waterproof. It is good to not have to worry about how I am doing against others for the week – now it is just how am I doing daily. So overall I am spending about 3-4 hours working out daily – with one rest day a week. The simple question remains, can a person change a lifetime of habits and become something new. We shall see, it will take a while for this first title and yes, I have not figured out the name for the first book yet! 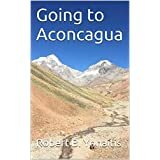 I came back from Aconcagua a couple months ago. It was a great expedition to the Southern and Western Hemispheres highest mountain. The Travel Journal was done pretty quick and then I released an initial draft and sent it off to the editor. The Editors other commitments made it impossible for him to work on the journal. In the end this was fine by me as it gave me the opportunity to rewrite the journal, smoothing it out and adding subtle detail giving it great new flow. I also had the opportunity to add many more pictures and set up web sites with more photos and some videos. So it is not very similar to the pre-release. 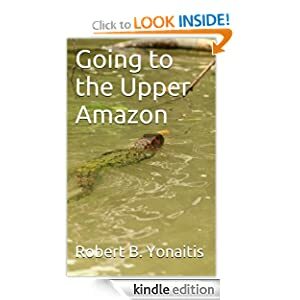 I am really pleased to announce that this title will release next week and also of the news that I will be releasing both Going to Aconcagua and Going to the Amazon in the Spanish Language over the next few months.